Nahom/Nihm: What are the Chances? Most involved in online debates about the historicity of the Book of Mormon are familiar with Nahom, mentioned in 1 Nephi 16:34, though the average Mormon probably couldn’t even tell you that Nahom is in the Book of Mormon. It becomes important in online debates because scholars believe they have found the name and place attested to in archaeology. Reactions from skeptics have ranged from denying there is any plausible connection to brushing it off as a coincidence. Both sides talk in terms of probabilities that have never been demonstrated. 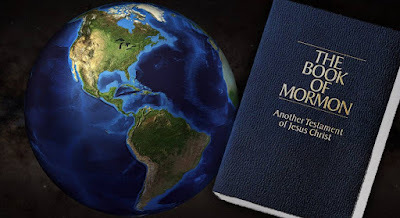 “The odds that a place by that name would be exactly where the Book of Mormon says it is are astronomical!” says the believer. “There are so many names in the Book of Mormon and so many names in the ancient Near East, Joseph Smith was bound to get one lucky guess!” declares the critic. Both of these statements need to be tethered in by the data, of course. It is not my intention to determine the statistical probability of this just happening by random chance. I am not a statistician. If anybody with real training in statistics would like to really explore this question and publish a rigorous statistical study, let me know and perhaps we could collaborate. What I am going to do here is try to outline various factors that need to be considered in thinking about the probability and in conducting such a study. There may be more factors as well, or a completely different way to frame the study entirely, for all I know, but these are what come to mind for me. In doing this, I will make it clear why I think the sentiments expressed by the believer are closer to the truth. First, there is the issue of not merely how many place names are mentioned in the Book of Mormon, but how many are potentially verifiable through archaeology. As most are certainly aware, the vast majority of Book of Mormon toponyms are from the American setting of the text. Critics, of course, pounce on this fact and scoffingly ask why the only place we think we can verify by archaeology is in Arabia. “What about the names of all those American cities?” they ask. Well, like it or not (and I think the vast majority of us, apologist or critic, does not like it), every single one of those is unverifiable. Mesoamerica is the only region we have any writing for, so that rules out verifying pre-Columbian place names for every place except there (not a huge problem, since I think the Book of Mormon took place in Mesoamerica anyway). More serious is that fact that the vast majority of pre-Columbian toponyms in Mesoamerica are unknown. We have some lists of Aztec names, and a small handful (out of thousands) of classic Maya examples, but none from pre-classic times or earlier (the period that generally overlaps with the Book of Mormon). So the odds of verifying any city names like Zarahemla, or Nephi, or Manti, are essentially zero, not because we can’t find those cities or because they are mythical cities made up by Joseph Smith, but simply because the data that could potentially verify (or fail to verify) them does not exist, pure and simple. 1. Jerusalem: obviously the biblical city, so verified, but of no evidential value. 2. Red Sea: again, obviously the biblical sea of the same name, so verified, but worthless to our cause. 3. Valley of Lemuel and River of Laman: these are names given to a valley and river by Lehi, with no evidence that anyone outside their party knew them by that name. Hence, at least the toponym is unverifiable (though the place itself may well have been located in Wadi Tayyib al-Ism). 4. Shazer: also a name given by Lehi, so the name is unverifiable. 5. Broken Bow Camp: this location is never named in the text, so there is no name to verify. 6. Nahom: likely a pre-existent toponym, given the wording of 1 Nephi 16:34, an interpretation that has been around since Hugh Nibley (and thus long before anybody had discovered the name on any maps or altars). 7. Bountiful and Irreantum: both given by Lehi, and Bountiful is a translation anyway. Now, there are some plausible locations for all of these places, and good etymologies for Irreantum and Shazer, but that is not the issue here. The issue is whether any of these places could potentially be verified by name in an inscription somewhere. Turns out there is only one name in the whole Book of Mormon that could possibly be verified by inscriptional evidence, and that one place is Nahom. What stupid luck, eh? Now, as I mentioned, critics like to use the fact that there are hundreds of names in the Book of Mormon as means to suggest odds are high that at least one would be right. But that is not the whole picture here. Fact is, if we are just talking names, a whole bunch have been verified. Don’t believe, then just spend sometime perusing the Book of Mormon Onomasticon. A near exact match to Gidgiddoni was announced just this last week. So if verification of names is all we are talking about, then there isn’t just one to account for. The issue here is that the a place name has turned up in a place that fits the Book of Mormon narrative. So we are talking about a place with a name. So what are the odds that a similar name turns up in a similar place? There are 2 sides to this issue. The first is the probability of a N-H-M name being in the specific place it is in the text, and the second is the probability of a N-H-M name being in a specific place in Arabia. On the first, there 337 names in the Book of Mormon. 188 of those are unique, the rest are also found in the Bible. But only a small handful of the biblical names are referring to the biblical place or person (i.e., Jerusalem, Jeremiah, Isaiah, Babylon, Adam and Eve, etc.). All the names from Isaiah are obviously not actual Book of Mormon names, and so on. Then there are some names are names of Book of Mormon places or people, but are also found in the Bible. We only need eliminate the ones that refer to biblical places and people, since those are obviously not random. I am too lazy to count these out, so for convenience, let’s just that cuts us down to 275 Book of Mormon names, counting both people and places. This might be an over estimate, it might be underestimate; I have no idea. There is no hard distinction between toponyms and personal names in the Book of Mormon, and many names are both, so I am not going to worry about eliminating personal names. Presumably, if the Book of Mormon is just fiction, Nahom could have just as easily ended up being a person instead of a place. Of all of those, Nahom is the only N-H-M name in the whole lot. Now, if the Book of Mormon is fiction, unless someone can give me a compelling reason for why Joseph Smith would use specific names in specific ways, I am going to assume that its distribution of names is totally random and arbitrary (nothing is truly random and arbitrary, but the whole point of “probability” is to assess the odds of something happening by pure chance). That means, Nahom could have landed anywhere in the Book of Mormon. Ishmael could have died at Nephi, in the book written by Nahom, or Nahom could have died at Ishmael, or Nahom could have abridged the record, etc. I think you get the point. So, assuming the same set of 275 names, the odds that Nahom randomly shows up 1 Nephi 17:34 as the name of the place Ishmael is buried is, simply, 1/275, or ~.0036 (.36%). Now that fact, in and of itself, is not terribly remarkable, since we could say the same thing about any of the 275 names. It becomes remarkable only when it seems to be predicted or coupled with some external phenomena, such as the same or a similar name turning up as a toponym in Arabia in about the right place. Also, keep in mind that this does not factor in the fact that really, if this is just fiction written by Joseph Smith, there is no reason to assume only those same 275 names could have been used. The possibilities are truly endless once we open up that can of beans, and I am not equipped to deal with it. But really, we would need to figure out the odds that one or more N-H-M names would show up in a set of 275 mostly biblical sounding names is in the first place, and then from there determine the odds of an N-H-M name landing in its spot in 1 Nephi 16:34. I’m guessing the odds of getting an N-H-M in the 275 name set is fairly high, so I don’t think it would significantly alter the probabilities here (which are, I remind you, rough figures anyway). So, the odds that Nahom is randomly in the right place in the text to correlate with the Arabian Nihm is something like .0036. Don’t place too much stock in that specific number, but it does suggest that the odds we are dealing with are very, very low. Now the other side of the coin. Critics have often pointed out that there are hundreds of toponyms along the Arabian Peninsula, once again using that large data-set to argue that the odds of guessing one right are actually pretty high. Some have also pointed out that there are a lot of N-H-M names around the world, so odds of there being one in Arabia is high. People making this second argument have not demonstrated that N-H-M names were common toponyms in ca. 600 BC, but in any case, sure, I’ll grant that it is highly probable that a N-H-M name would show up somewhere as a place in Arabia. The issue is more complicated than that, however, since Nahom cannot be just anywhere in Arabia. For example, if Nihm had been in Northwest Arabia, instead of southwest Arabia, or if it had been on the Persian Gulf side, instead of the Red Sea side, then it would be impossible to be the Book of Mormon place Nahom. As I already said, Nahom/Nihm is not simply significant because it is a similar name, but because it is a similar place. So we need to define some geographic parameters. On the first, I have no idea. It would be ideal if we could be more specific and get a list of, say, all the pre-Islamic tribes and their territories. I am assuming this will make list smaller than if we go off of, say, the 18th century maps that are available, and making it smaller of course improves the chances that Nihm will land within our radius in a random distribution of the names. But it also decreases the odds of random correlation between an Arabian tribal name and a Book of Mormon name, just like reducing the number of verifiable Book of Mormon names reduces the chances that one just coincidentally matches with archaeology. Widening the data-set increases the chances of there being a random name match, but reduces the odds that the name is in the right place. Having exactly no data, let’s just choose the number 200 for illustrative purposes. I also have no data on how many of those would fall within the designated radius. One way to figure this out would be to take one of the 18th century maps, draw a 50-mile radius around Nehhm/Nehem, and then count how many other names fall within that radius. Again, it would be better if we could just draw on pre-Islamic tribal territories, but I don’t know if that is feasible. Not even doing the minimum, let’s just say 20. Lastly, we do know how many N-H-M names are in Arabia (pre-modern Arabia, anyway), though some critics act like we don’t, or claim there are more. Warren Aston has hunted down every map and every inscription he can find mentioning NHM, and they all point to the same place, and the same tribe (which has lived in that same place at least since the 1st-millenium BC). So there is only one N-H-M to consider. The task here is to calculate the odds that, if we randomly distribute all the territories of the pre-modern Arabian tribes, what are the changes the Nihm ends up in our 50-mile radius? If we assume the numbers I made up, the odds are 20/200, or .1 (10%). If we insist on the exact location it is in, then we are obviously talking 1/200, or .005 (.5%). These are obviously not accurate, because I made up the numbers, but the point is, again, since there is only one N-H-M toponym in all of pre-modern Arabia, the odds of it coincidentally being somewhere that just happens to fit the Book of Mormon narrative reasonably well are not terribly high. From here, getting a probability for Nahom in the text converging with Nihm in Arabia becomes a matter of taking the probability of both landing where they do in a random distribution. Using the numbers above, that would be: ~.0036 * .1 = ~.000036 (.0036%). This would be an extremely low probability, well below the standard .05 or .01 necessary for statistical significance (i.e., for the statistician to confidently conclude that the relationship is not random). One criticism I would anticipate is that looking only at the probability of Nahom and Nihm, specifically, is “drawing the target after taking the shot,” i.e., I already know that is the one name from the Book of Mormon and the one Arabian name that matches. The real issue is the probability of any Book of Mormon name being randomly matched to the any name of an actual place. This would be true if we had a bunch of pre-Columbian toponyms in the Americas as well, and hence just about any name could randomly be matched with a geographical location by sheer dumb luck. But we don’t, as I already mentioned. Nahom is really the only Book of Mormon toponym that could conceivably be verified by archaeology in the first place. That alone makes it pretty remarkable that we have a really good match. None of the analysis above and the numbers generated really matter, because I made up most of the data. To be absolutely clear, I have not figured out the probability that Nahom/Nihm would converge by chance. What I have tried to do is outline some of the necessary factors that need to be figured out in trying to assess that probability. There are other factors, I am sure. I’d also be willing to bet that someone better versed in statistics than I could expose some devastating flaw here or several. The point I am trying to illustrate here is that it is a lot more complicated than simply saying “Oh yeah, Joseph Smith was sure to get at least one lucky guess!” Given the above factors, and the likely many more than need to be considered, I am betting we are looking at some pretty dang low odds of coincidence here, but I could be totally wrong. Until someone actually does the math, we will never know, and instead have to go off of other methods of inquiry to assess the strength of the relationship between Nahom and Nihm and whether it indicates a likely connection between the Book of Mormon and archaeology. Even when using those methods, though, the issues mentioned here should be considered by persons on all sides of this debate. Too often we either celebrate a certain piece of evidence or simply dismiss it, when what we really need to do is *assess* it. And that's exactly what you've done here. If the NHM find were "exactly" where the Book of Mormon says, the Book of Mormon would have to say something truly exact about where Nahom was, which it doesn't, and LDS scholars would have been looking for Nahom in this very place *before* the NHM altar was found. On the other hand, it doesn't even begin to do justice to the Nahom connection to simply wave one's hands (ala Jenkins) and say, "With so many names, Joseph Smith was bound to get something right." Nahom is the *one* Old World Book of Mormon location, besides Jerusalem, for which we have a pre-existing name. A matching place has been found that's in the right area and would have been there at that time. This is clearly relevant as evidence on the question of whether the Book of Mormon fits the ancient Near Eastern context in which it places itself. I agree with you that further work needs to be done so we can assess more precisely what level and quality of evidence the NHM find provides for the Book of Mormon. Such work would, however, only refine the correct *approach*, which you model here--that of seeking to objectively *weigh* the evidence and what it means for the questions we bring to it.